Docents are volunteer museum educators. Docents conduct educational tours and programs in the museum galleries with students in grades K-12 and adult audiences. Docents study the museum’s collections and attend training in how to deliver effective museum gallery tours. Qualified applicants must have experience working with children and adults, and have an enthusiasm for art, history, science or Dr. Seuss. Applicants will be reviewed based on qualifications and the number of docent openings available. Selected applicants will then be contacted for an interview. Training: Up to 20 training classes, held Tuesdays from 1:30-3 pm beginning late September. Training ends in the spring. Tours: At least 20 tours a year for two consecutive years, in addition to training year. Most school visits are Tuesday-Friday, 9:30 am-2 pm. Training: Up to 15 training classes, held Wednesdays from 2-3:30 pm beginning late September. Training ends in the winter. Tours: Give at least 20 tours a year for two consecutive years, in addition to training year. Most school visits are Tuesday-Friday, 9:30 am-2 pm. Training: Up to 20 training classes, held Mondays from 1:30-3 pm beginning late September. Training ends in the winter. Training: Up to 15 training classes, held Wednesdays from 2-3:30 pm beginning October. Training ends in the winter. Questions? 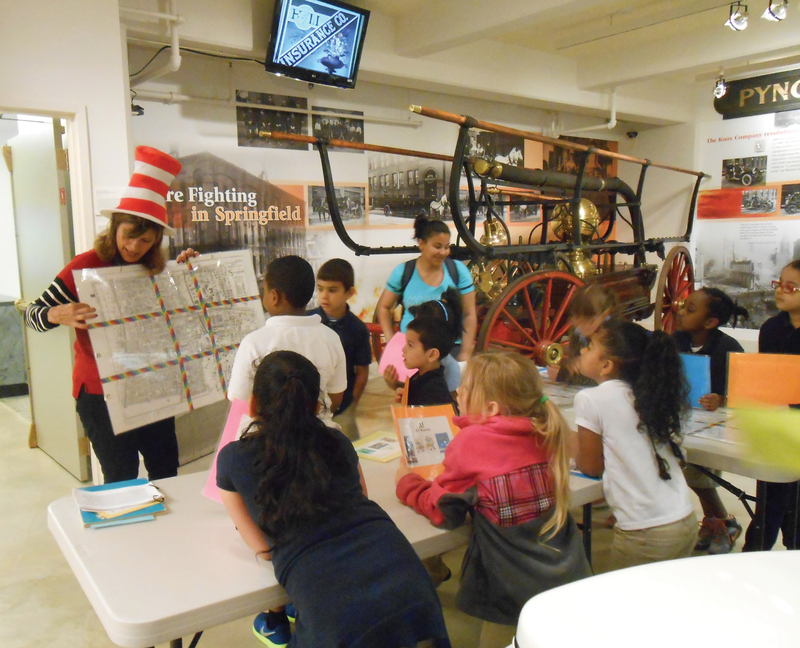 Email docents@springfieldmuseums.org for more information.